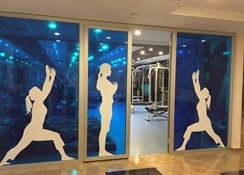 The hotel is located in a residential area of Calis, approximately 3 km from the centre of the market town of Fethiye and 1.5 km from Calis Beach. Within a short walk from the hotel, guests will find public transport and local amenities such as shops, bars and restaurants. Nearby places of interest include Oludeniz Lagoon (approximately 16 km), the old Greek village of Kayakoy (approximately 12.5 km) and Butterfly Valley (approximately 25 km away). 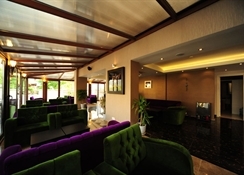 Dalaman Airport is approximately 51 km away from the hotel.--This air-conditioned city hotel comprises a total of 12 rooms. 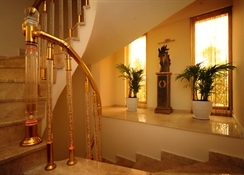 Guests are welcomed in the lobby, which offers a 24-hour reception and a 24-hour check-out service, as well as a hotel safe and currency exchange facilities. Business travellers can make use of the conference facilities. The boutique-style hotel offers wireless Internet access, and a laundry service is available for a fee. Those arriving by car may leave their vehicles in the hotel car park. Bicycle hire is also available for a fee.--All rooms are en suite with a shower, hairdryer and bathroom slippers. Each room offers a double bed, direct dial telephone, flat-screen TV with satellite channels, wireless Internet access, safe and a minibar. 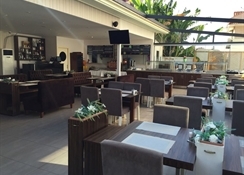 Individually regulated air conditioning and individually regulated heating, as well as carpeted flooring and a French balcony are standard features in all accommodation.--The hotel features an outdoor swimming pool with a poolside snack bar and a sun terrace with sun loungers and parasols laid out ready for use at the water's edge. Guests can treat themselves to a soothing massage or spa treatment at the spa centre, or relax in the Turkish bath (fees apply to all). There is also a steam room. Additionally, the hotel has a small cinema. Moreover, sun loungers and parasols are available for hire on the nearby sandy and pebble beach.--Lunch and dinner can be taken Ã la carte.